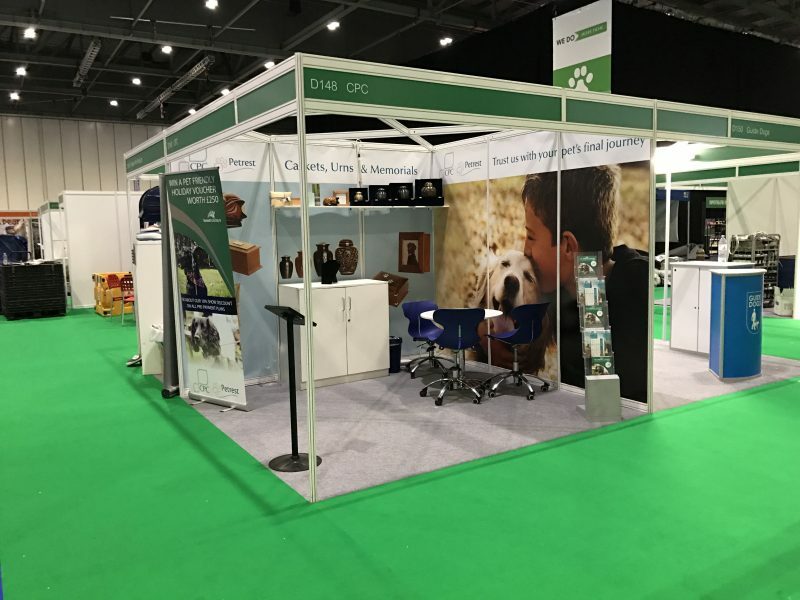 We had such a brilliant time at the National Pet Show held at the ExCel Centre in London last weekend. 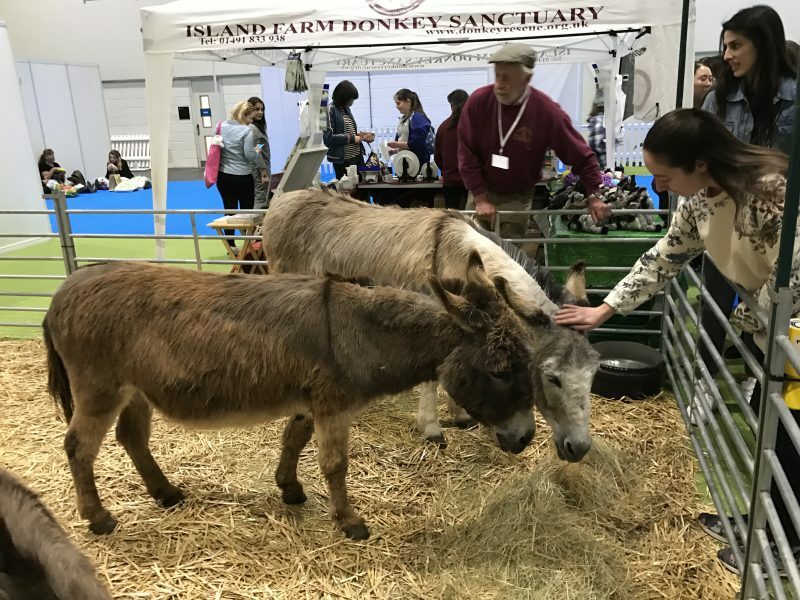 We saw businesses and people from all over the UK and from further afield, all brought together because of their shared love of animals. In attendance we saw cats, dogs, birds, ponies, snakes, insects… in-fact there wasn’t much that wasn’t catered for. 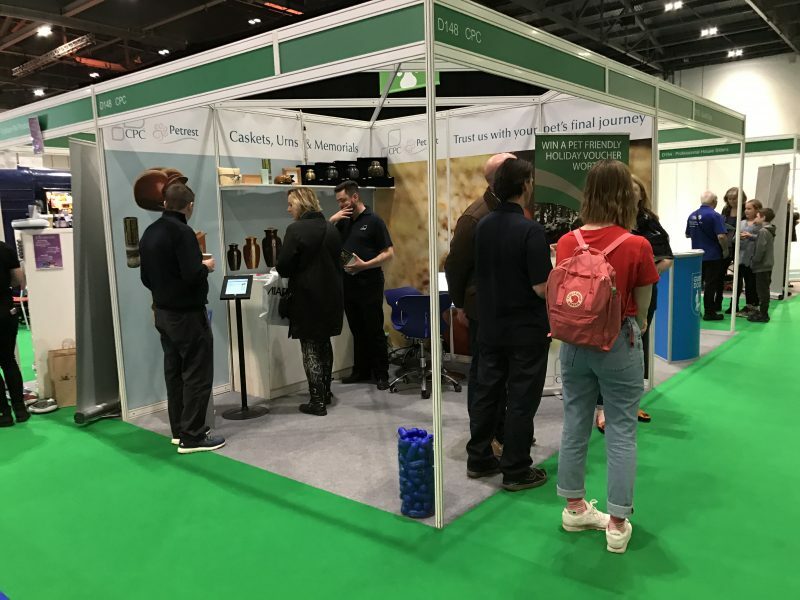 We were there to increase awareness of our Petrest Individual Pet Cremation Service. We were also thrilled that so many of our previous customers stopped by to catch up and let us know just how happy they were with the service we provided. 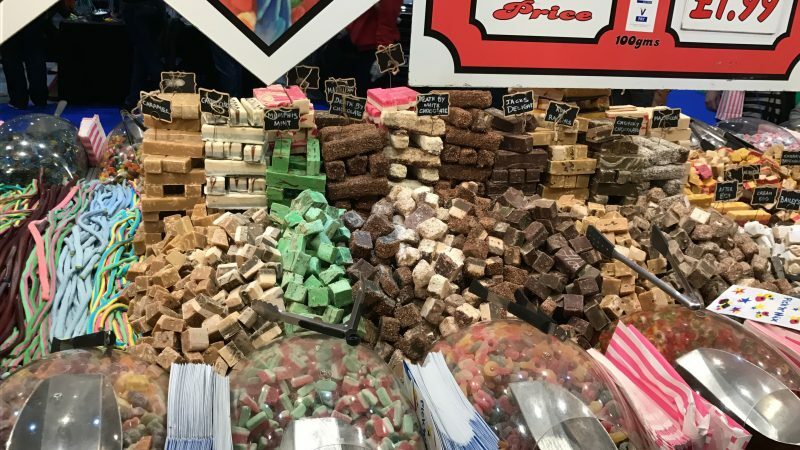 A few of us took some time to look around the show. Take a look at how we spent our day! 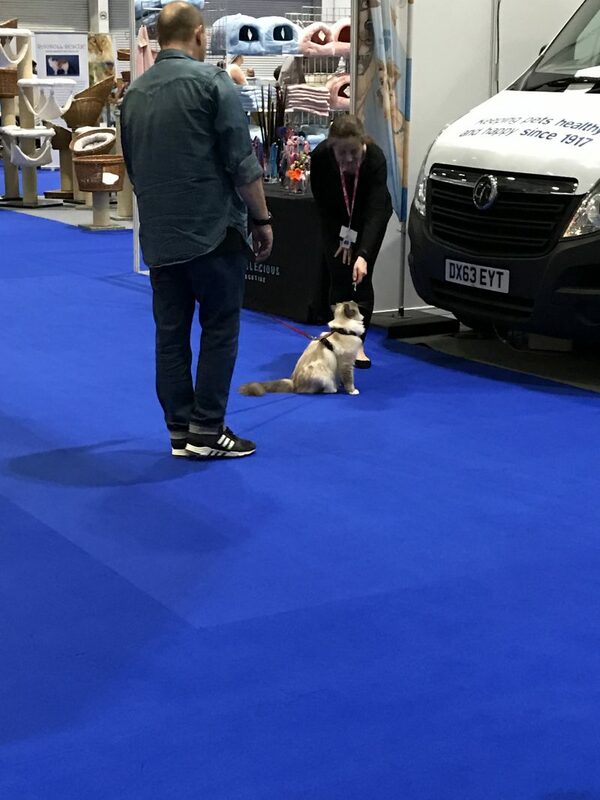 Not often you see a cat on a lead… and happy to be so. 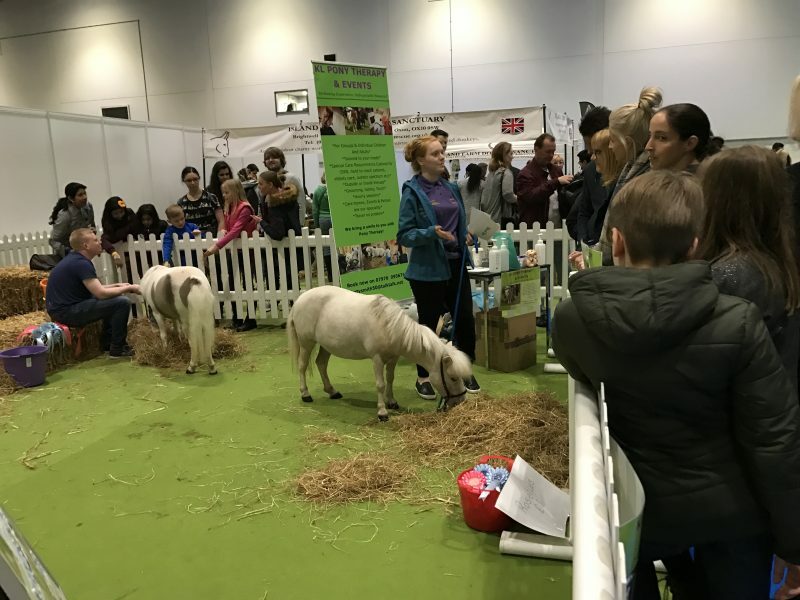 Not only were we treated to a range of animal related stand and opportunities to get up close with so many wonderful pets, we were opposite a sweet stand which hasn’t done our teeth any good. 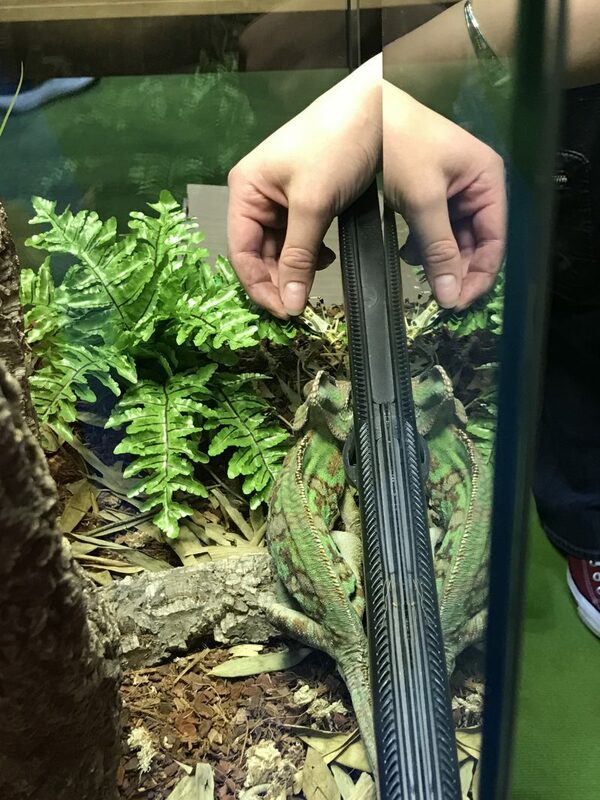 Many of the visitors to our stand mentioned the reptile section; so we had to check it out. 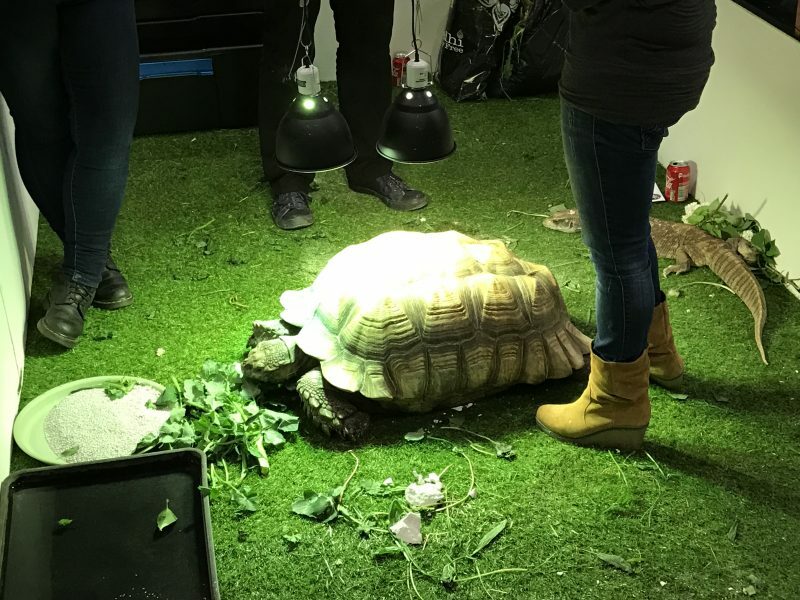 It did not disappoint with a variety of large tortoises and lizards on display. We eventually followed the crowd over to the donkeys and mini ponies, how cute are they! 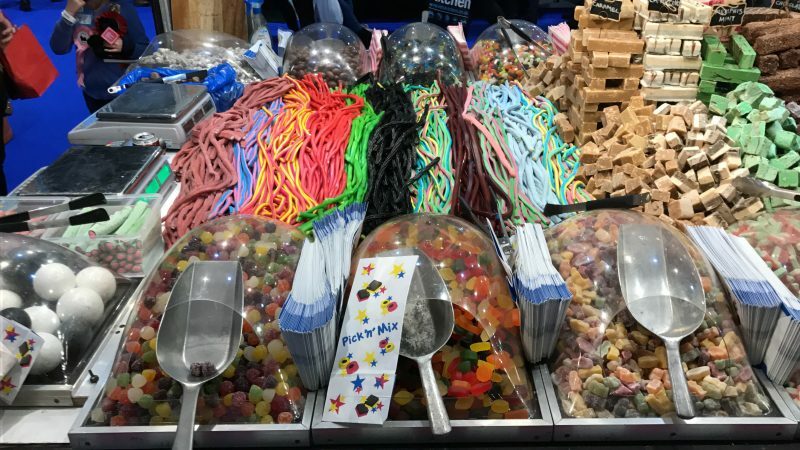 There were so many excellent attractions that it’s impossible to list them all but what a great family day out.